If you want to minimize the environmental impact of remodeling your home, choose a home remodeler who understands “green” options. Our team at Mosaik Design & Remodeling is conscious of our effect on our surroundings throughout the design and construction process. The U.S. Green Building Council has created a point system to determine how “green” building design, construction practices, and operating processes are through the Leadership in Energy & Environmental Design Program (LEED.) However, the LEED Program has not yet developed a system for remodels. Instead, the Regreen Program has been established for remodelers by providing a set of tools and resources that offer guidelines for environmentally conscious remodelers. Choose energy-efficient lighting and appliances, as well as water- and energy-efficient fixtures and faucets. Select a design that allows aging-in-place, which will eliminate the need to remodel the home later in life. If a kitchen remodel is on your radar, request resource-friendly, low-emission cabinet and floor materials, as well as install ventilation to keep air quality high. Remodeling doesn’t have to mean adding on. 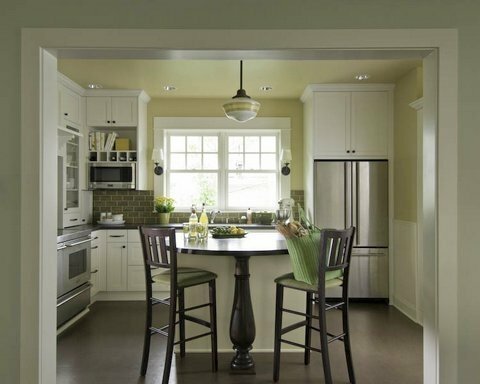 You can reconfigure your space to make it more efficient and functional. There are many other guidelines that the Mosaik Design & Remodeling team would be glad to incorporate into your “green remodel.” Please give us a call and we can discuss all of the details!